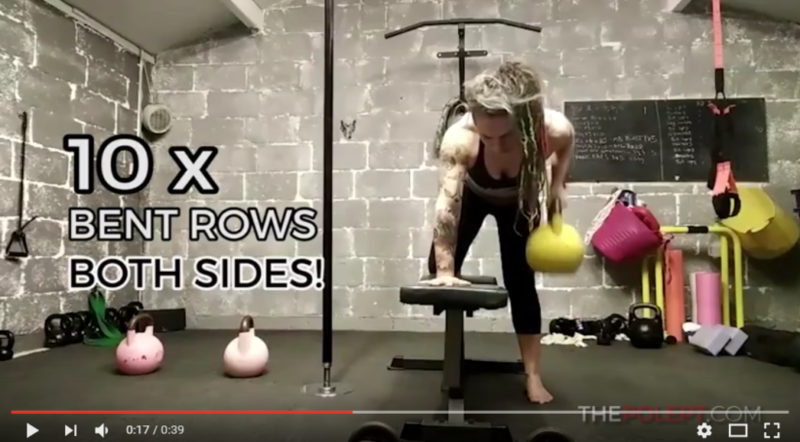 Polers in the gym – shoulder circuit quickie! 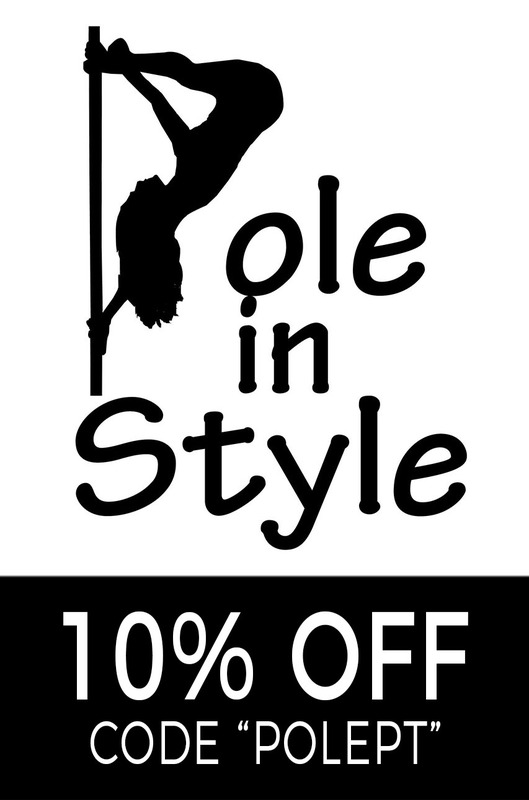 We all know how important strong shoulders are for pole, right? All of these things will make you a stronger, less injury-prone poler. 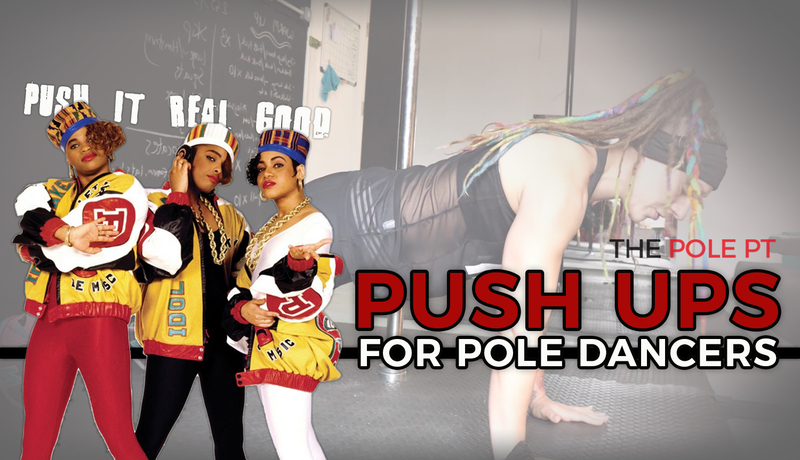 If you’re wondering exactly how to strengthen your shoulders in the gym in a way that will help you improve on the pole… welcome – you’ve come to the right place! Here is one of my favourite ‘quickie’ dumbbell shoulder circuits for strong, healthy and functional pole shoulders! 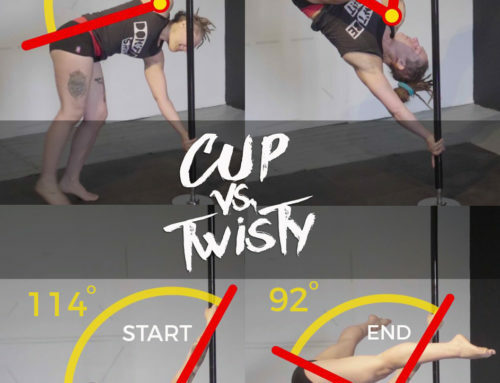 Below you’ll find a breakdown of the workout, some technique guidance on each exercise as well as the reasons why I’ve chosen these specific movements for my pole dancer shoulder circuit. The circuit only takes between 10 and 15 minutes, so it’s great to add onto the end of a training session, or you can do it as a stand alone workout. Enjoy! Make sure you’re warmed up first! A good warm up for this workout would include 6 to 10 minutes of cardiovascular work (this can be running, rowing, skipping, dancing… basically, anything that gets your heart rate up!) followed by some mobility warm up drills for your shoulders like shoulder rolls, shoulder dislocations (arg, don’t worry, they’re not as horrific as they sound! ), band exercises for the rotator cuffs and some thoracic spine rotation movements, like the corkscrew. When you’re ready to rock, you’re going to do 10 reps of each of the following exercises with no to little rest between each exercise. After one set, rest for a minute or two then repeat the whole thing twice more, to make 3 sets in total. As I explained in my muscle imbalance post, we tend to overuse our pec muscles in pole training and neglect our poor old upper backs. 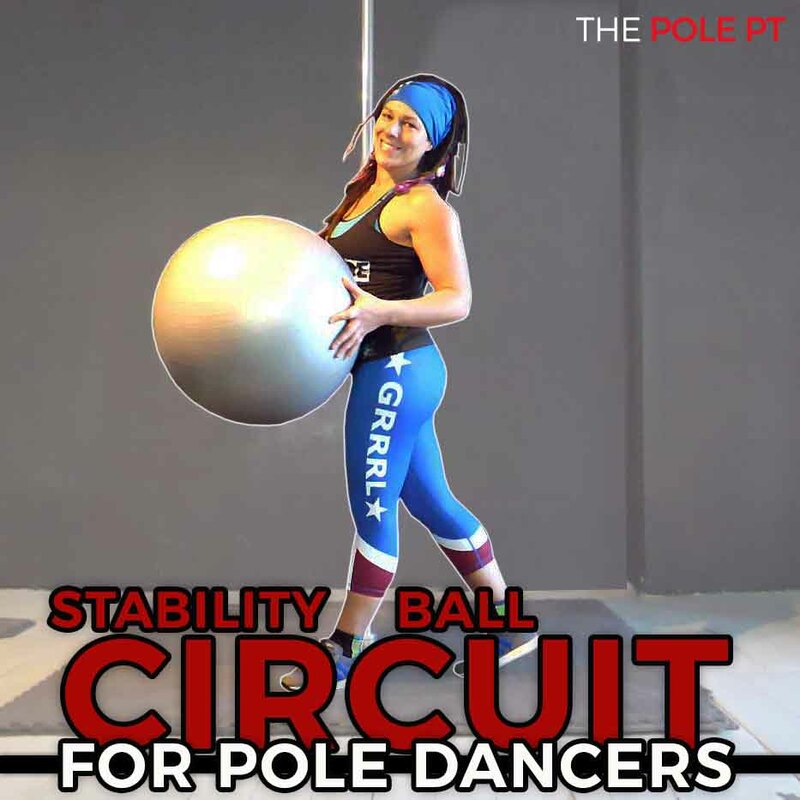 This leads to tight pecs and weak upper back muscles, which can cause postural issues (rounding of the shoulders), making us more vulnerable to injury as well as affecting our strength and performance on the pole. The reverse fly is an awesome rear delt and lower trap exercise to help combat this imbalance, create more balanced strength in the upper body and help to prevent injury. Bent over rows again help to strengthen the upper back and address common muscle imbalance issues in pole, focusing more on the rhomboid muscle in the middle of the back which is also important for scapular retraction and that all important shoulder stabilisation. We do a lot of overhead pulling on the pole (basically every spin involves pulling from overhead). The overhead press is a great counterbalance to all that pulling, helping to balance our strength in a more shoulder-healthy way. 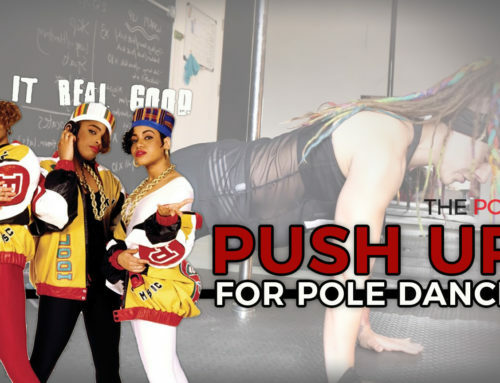 We also do a lot of unilateral pulling and pushing on the pole. For example, every time we do a full bracket move, we’re pulling with one hand and pushing with the other. When we’re the ‘right way up’, our top hand is pulling from overhead and our bottom hand is pushing. But when we do the same moves inverted, for example, in an Ayesha, a butterfly or an inverted D, our top hand becomes our bottom hand and is now pushing (overhead), while the top hand is pulling. 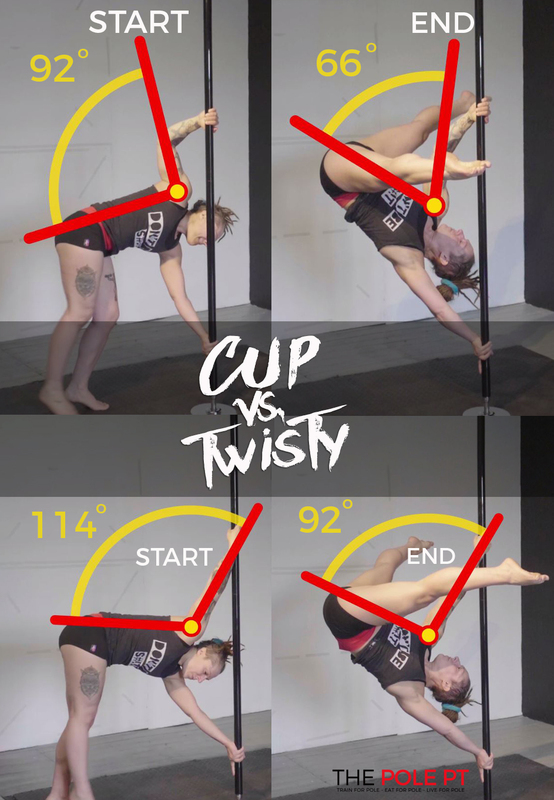 My point is that unilateral (ie one armed) overhead pushing strength is important, particularly for inverted pole moves. It’s a common weak point for many polers and the overhead press (with dumbbells or kettlebells, rather than a bar) is a great way to strengthen that overhead pushing action in the gym. Scapular pull ups help to develop scapular control and stability (which is VITAL if you want to keep your shoulders injury free as a poler), with the added bonus of training grip strength, too. Scapular pull ups isolate the muscles that depress, rotate and retract the scapular, giving you better kinesthetic awareness of your scapular position and helping you to engage the lower traps and lats so you can pole with better form. If you have never done these from a bar before, you can start with the feet on the floor or on a box or bench, so that you can get used to the movement required, before adding your bodyweight into the equation! 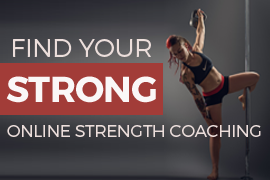 Before you hit the gym: If you have shoulder mobility issues, are experiencing shoulder pain or have a current or past injury, this workout is probably not right for you. Please see a physio or other medical professional to make sure you are doing what’s right for YOUR body! 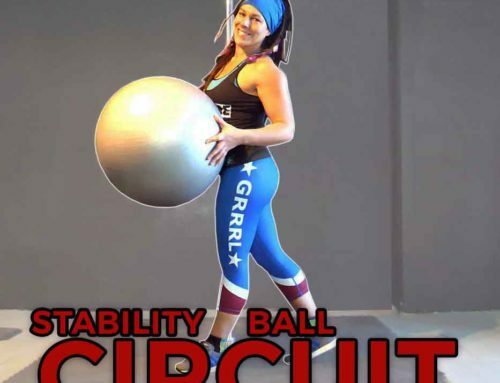 By its very nature, this workout is general and although the exercises have been chosen specifically for their cross-over benefits for polers, we are all different, with our own unique mobility limitations, training schedules and varying strength levels. If you’d like a fully personalised programme that takes into account your individual abilities and circumstances, check out my online personal training programmes for polers here.